The number of buyers who signed contracts to purchase homes tumbled in May, a sign the housing recovery can't survive without government incentives. The National Association of Realtors said Thursday its seasonally adjusted index of sales agreements for previously occupied homes dropped 30 percent in May from April. The index fell to 77.6 from 110.9. May's reading was the lowest dating back to 2001. The index also was down 15.9 percent from the same month a year earlier. The reading provides an early measurement of sales activity because there is usually a one- to two-month lag between a sales contract and a completed deal. The sharp declines were widespread. Pending sales dropped by 33.3 percent in the South, by 32.1 percent in the Midwest, by 31.6 percent in the Northeast, and by 20.9 percent in the West. Federal tax credits helped to boost home sales this spring. First-time homebuyers could get a credit of 10 percent of the purchase price up to $8,000, while homeowners who bought and moved also could get 10 percent up to $6,500. The deadline to get a signed sales contract was April 30. It was widely expected that sales would flag once the tax credit expired. But such a large decline in sales is surprising. "We are once again struck by the force of the drop," wrote Dan Greenhaus, chief economic strategist at Miller Tabak + Co. "There is simply no other way to spin the recent housing data as anything other than significantly worse than virtually anyone, including the housing bears - a group in which we find ourselves - envisioned." There had been hints that the falloff could be worse than expected. 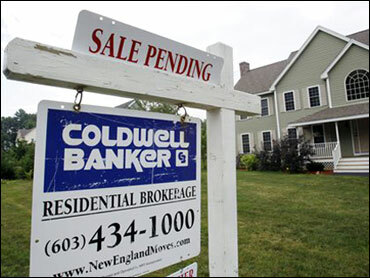 Last week, new home sales for May dropped 33 percent to the slowest pace in the 47 years records have been kept. And it was the largest monthly drop on record. Homebuyers did get a little more time to close on their homes and receive the tax credit. Congress this week voted to extend the June 30 deadline to complete sales until the end of September. But that only affects those who met the April deadline to sign sales contracts.